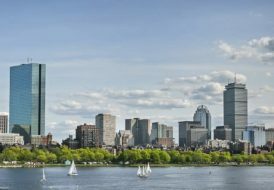 Real estate is a tangible asset so often defined by what is there — the “real,” present and observable qualities of a home: the architecture, the view or the location. But sometimes the unseen qualities — what is not there — can be equally alluring for a buyer. 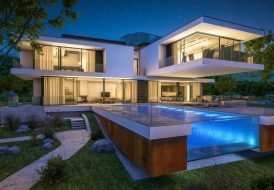 In the case of award-winning, internationally recognized landscape architect Scott Hostetler, his imagination was stirred by the possibilities presented by the two-acre “blank canvas” spread out before him on rare flat lawn at Chateau de l’Imaginaire in Atlanta’s Buckhead neighborhood. Hostetler, known for his work on the Disneyland Hotel in Hong Kong, was accustomed to bringing landmark environments for his notable clients to fruition — but had never before possessed such a large and untouched palette of his own. “It gave him the opportunity to implement, without compromise, a landscape masterpiece for family and friends to enjoy,” says wife Livia Hostetler. 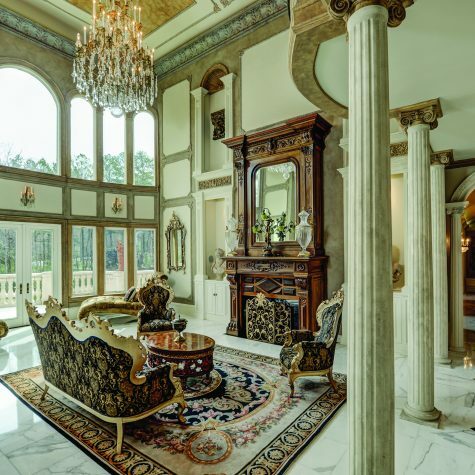 The couple purchased the palatial estate in 2011 for their family of five, vowing to stay true to the original vision established by previous builder/owner Steve Wallace, the three-time Super Bowl champion. They began by taking two trips to France in 2011, where they visited the country’s most legendary chateaus and gardens. Drawing inspiration from the most interesting features of each garden they visited in Europe, Hostetler reinterpreted these elements for their backyard at Chateau de l’ Imaginaire. Evidence of his skillful hand and artistic eye can be found throughout the lush and verdant grounds, including two distinct parterres — formal boxwood gardens patterned after Versailles and Chateau Vaux-le-Vicomte — that flank the resort-style pool. 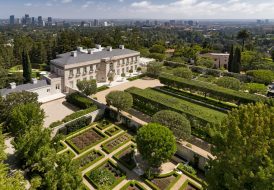 Featured in numerous films, television shows and music videos (serving for several years as the Beverly Hills “Delatour House” on Lifetime’s “Devious Maids” and acclaimed Future’s “Mink Flow” video), Chateau de l’ Imaginaire sets the stage for refined living at the very moment of entry. Tucked behind privacy gates, a stately drive and 25-car motor court guide you to the three-story, 15,738-square-foot Georgian revival mansion. 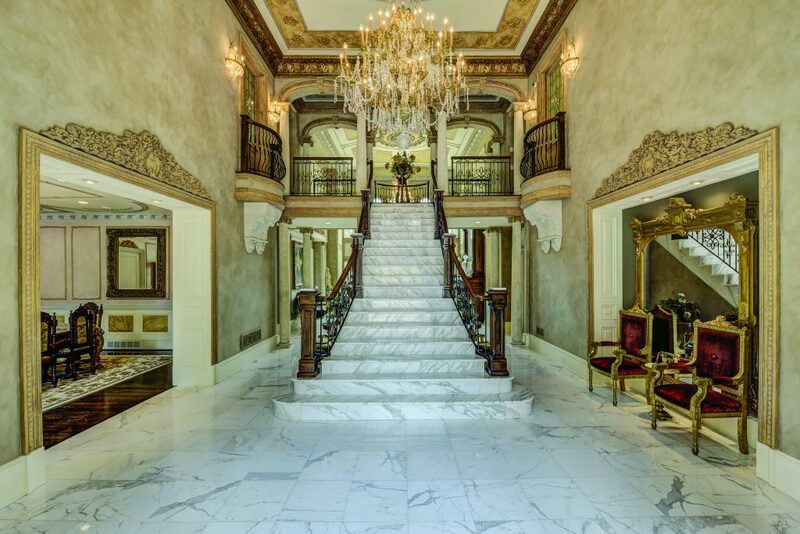 Double columns usher you inside with a grand marble staircase and dramatic chandelier. 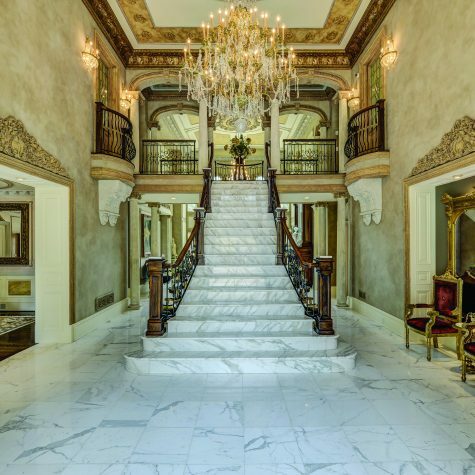 Gracious formality is expressed in symmetry, scale and details such as soaring ceilings, exquisite crown moldings, marbles, travertine and hardwoods. Public spaces, such as the dining room, living room, ballroom, kitchen, library and office, are set on the main level. A main-level secondary master suite is set apart from the rest of these spaces, for added privacy for guests. Upstairs, via the elevator, there are a whimsical playroom and five bedrooms, including a lavish master suite with his-and-her closets and luxurious bath. On the lower level — which the Hostetlers call “the terrace level” — there is a second kitchen and home theater, added recently in 2017, plus a wine cellar, a gym, a sauna, a beauty salon and vast entertainment areas.